If you like vegetable dishes and want to diversify the menu, cook the celery casserole. Gentle, low-fat with a ruddy crust may be as a separate dish, and as a garnish for meat and fish dishes. Minimum economic costs and fast in preparation.If desired, you can replace cream with milk and do without cheese, then this will be garnish variant. 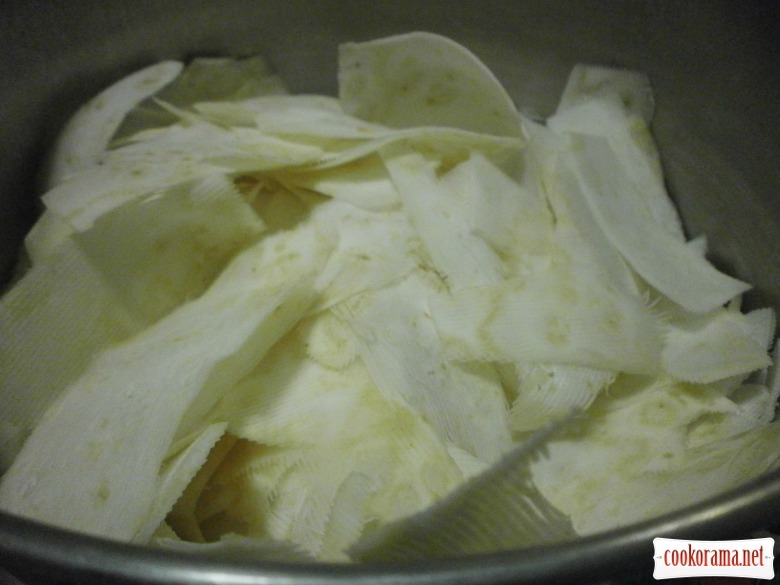 Wash celery root and peel, as potato. 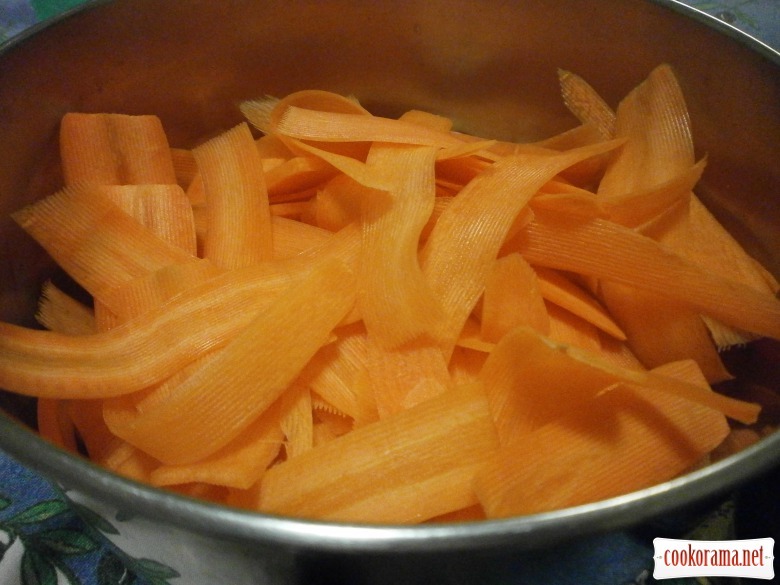 Slice celery using vegetable peeler. Do the same with carrot. Wash, peel and cut with peeler. Pour cream in two pots and bring to a boil. Dip vegetables in each. Season with salt and pepper and add nutmeg. Simmer until the vegetables absorb all the liquid. It takes about 20 minutes. Grate cheese on a coarse grater. Grease ceramic form with butter. 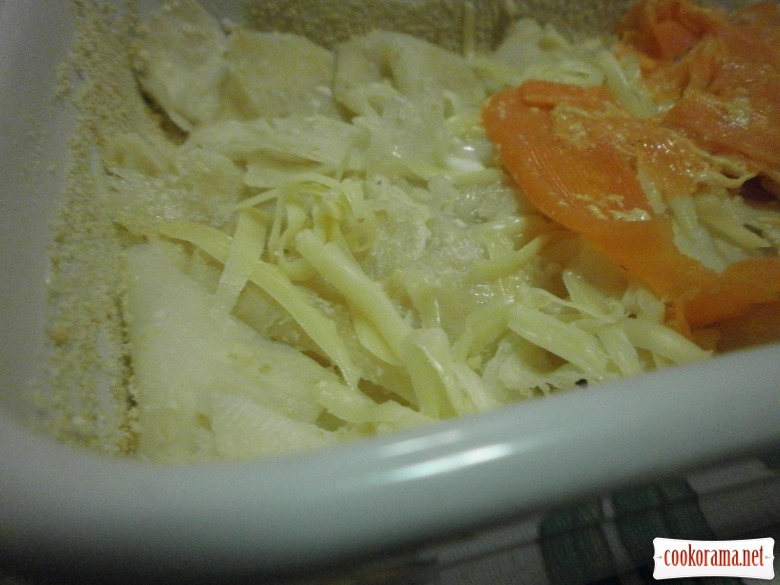 Spread layers of vegetables and cheese. 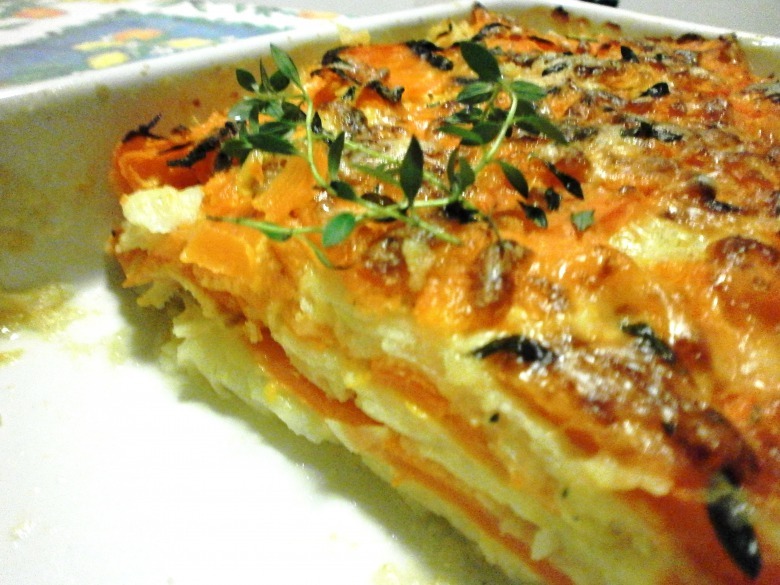 Top with layer of carrot and sprinkle with cheese. It can be flavored with leaves of thyme. Bake in the oven until golden brown, for 35 min at 200 degrees. 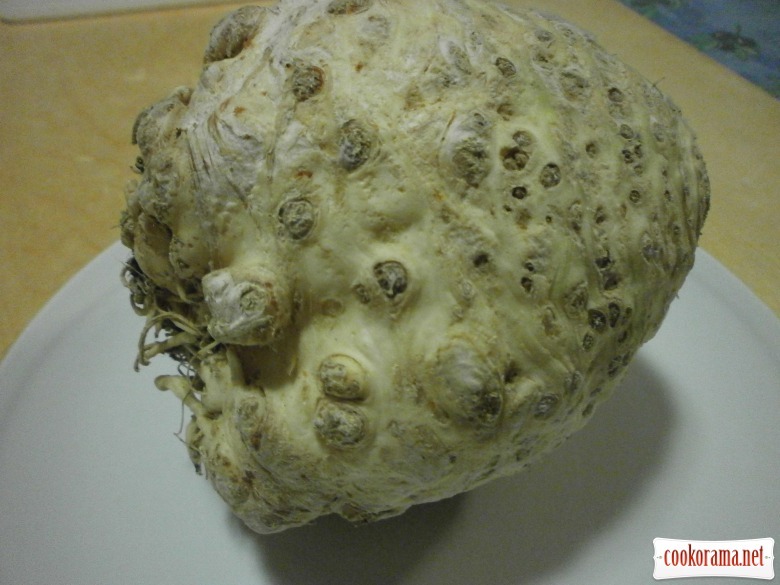 Top of recipe "Gratin from celery root"
Яка цікава запіканочка з селери! !